I work downtown at the SUNY Brockport Metro Center and just got back to my office with a sandwich from a local establishment. My server looked tired. She told me she was taking care of a sick relative’s children and her own child while continuing to work both her jobs. She figured she had gotten about 9 hours of sleep the past three nights. She is working, but poor and she got me thinking of how she would be characterized by some if she missed a teacher’s conference or school event. Would she be accused of not caring about her kids or their education? It is challenging for us to consider our biases and stereotypes associated with complex issues like poverty and education but all of us stereotype. And make no mistake, stereotypes run both ways-city to suburbs and suburbs to city: The east side is rich. The west side is working class. The city is poor. These are generalities (perhaps a softer word for stereotypes, because language does matter.). But as we strive as a region to provide more equitable schools (not equal – that language thing again) it may be helpful to address some sterotypes associated with poor children that may surprise. Yes the Rochester City School District is the poorest in our region with almost 84 percent of children qualifying for free and reduced price lunch. And Pittsford , Brighton, Penfield and Victor all have 10 percent or fewer children in this category. But districts like Lyons, Mt. Morris, and Bath all have higher than 50 percent poverty rates. Indeed the majority of the region’s poor people (59 percent) live outside the city. You are right if you believe that African Americans and Hispanics are far more likely to be poor than whites. In our region the poverty rate for blacks is 34 percent and for Hispanics it is 33 percent. The rate for whites is 10 percent. So if you think of a poor student as being a black kid from the city you are not wrong. But back to my lunch server. As a city mom she is obviously hard working and cares about her kid and her relatives’ kids. But what are the chances of her making it to a parent teacher conference or school events? I often hear that the problems of urban education can be solved if the parents just took more responsibility. You know the problems—fights at the bus station, the no-shows at school open houses, and the parents who don’t sign up to check their kids grades daily on the school website. The popular narrative is that these parents don’t care as much as we do. 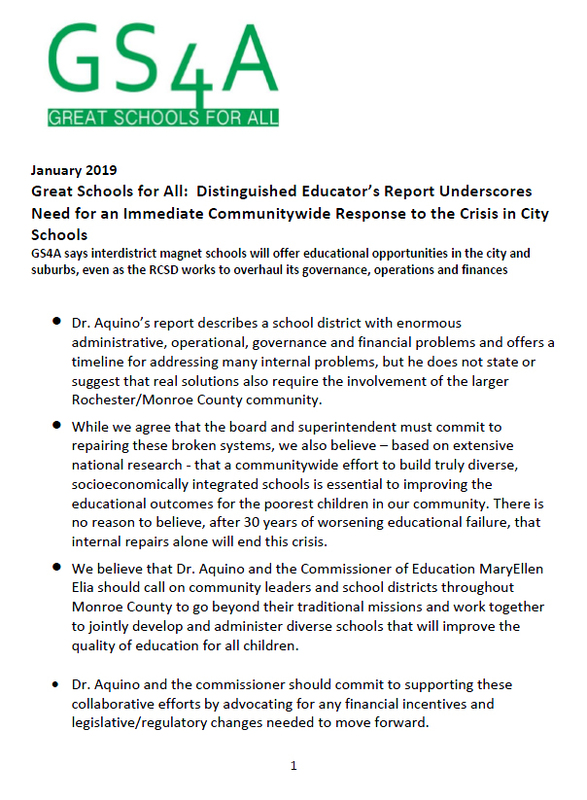 This narrative may be the most damaging stereotype of all when it comes to building broad support for countywide magnet schools that strive for a mix of 60 percent middle class kids with 40 percent poor students. Parents and children living in poverty, like my sandwich-making friend, experience class-specific barriers associated with participating in schools. They often work multiple jobs (with no vacation time), struggle with transportation, and have no one to watch their kids even if they wanted to participate in the school community. So while it is true that low-income parents visit their school less often than middle class parents, it is also true that they are active at home—making their kids do homework, limiting TV time and reading to them. And anecdotally I have found this to be true. As a principal I made multiple calls to poor and working class parents asking them to come in to talk about their kids. I often made those calls to their places of work. And they always told me that if they came in they would lose wages or in some cases be fired. But they all cared and asked me what they could do. Other stereotypes assume the poor are substance abusers, poor communicators and ineffective parents. But they too have been discounted by the research. As middle class parents we provide our kids with vacations, art and sports camps, rides to everywhere and time spent together. We have our own stereotypes: soccer moms, deadbeat dads, uber parents, and the like. We sometimes bristle when someone puts us in that box. To move forward as a region we must also bristle at stereotyping the poor city kids and their parents who love them as much as we do our children. 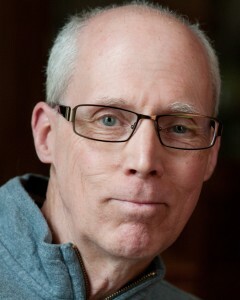 Jeff Linn teaches educational administration at the state College at Brockport and he is a member of the GS4A leadership team. My wife and I put our two sons through Catholic schools. It was expensive and difficult at times—and paying that tuition left us with a lot less money for their college years. Truth be told, I would have loved a little help. A tax deduction or credit would have given us the cushion we rarely had. Even so, we were fortunate to have a choice of where to send our sons to school. I am well aware that lots of parents can only wish they had the choices we had. So I get the appeal of the Parental Choice in Education Act, for which Gov. Andrew Cuomo and Cardinal Timothy Dolan of New York City are barnstorming the state, hoping voters will push their legislators to act on the bill before they adjourn in June. But the Parental Choice bill offers more bluster than real choice —especially for the poorest families who can’t help their children escape schools that don’t work. Obviously I have no quarrel with people sending their kids to parochial or private schools, but Albany’s job, as it says in the state Constitution, is to guarantee every child a “sound basic education.” The state is supposed support a public school system that works for every child, not help a few families escape broken public schools. Provide tax credits worth up to $500 for low- to moderate-income families who want to send a child to a private school. Provide non-profit organizations or wealthy individuals with tax credits worth up to 75 percent of donations made to establish scholarships to private schools. Two problems: The neediest families will not be able to afford private school education even with a $500 tax credit—toward a $5,000, $6,000 or $10,000 tuition bill (that’s true, even if they also receive a partial scholarship). And while it’s possible that scholarships may benefit a few students, those tax credits amount to a direct transfer of state revenues from public to private education. A credit is far more generous than a tax deduction. A tax credit for a $1 million scholarship donation might cost state taxpayers $750,000; a $1 million deduction would cost less than $90,000 (assuming the donor pays the top tax rate of 8.82 percent). It’s clearly true that many children in New York (including tens of thousands in Rochester ) do not have access to a “sound basic education.” And they deserve better choices. But this bill offers mostly false hope to parents who deserve access to good public schools for their children. A private school tax credit, like the proliferation of charter schools, is an incentive to abandon traditional public schools. If Cuomo is serious about guaranteeing parents better choices, he’d do well to support efforts to promote socio-economic integration to end the high poverty schools that continue t0 fail the neediest children in our state. Offering a few children a lifeline is not the way to meet the state’s obligation to all our children. A few times at our May 5 conference I heard people say it feels like we have arrived at a moment when real change in our education system is possible. I agree. I’m not exactly sure why this is, but it feels to me like our community has experienced an epiphany. For more than 30 years, every time I reported or opined on some effort to engage the whole community (suburbs and city) in the work of improving city schools, the opposition was swift, loud and definitive: “Not now, not ever.” City and suburbs did not see themselves as part of one community, but as distinct municipalities with no obligations to the other. This was particularly true when it came to schools. Suburbanites took pride in their schools and saw no reason to risk their academic success by “mixing in” with the city. The popular refrain to claims that high poverty schools presented insurmountable barriers for many children was: “City kids just need to work harder. Their parents need to be better parents. The teachers union needs to stop protecting bad teachers.” End of conversation. That’s not so true today. There is a new and, I think, genuine concern that the catastrophic performance of city public schools is deeply rooted in poverty and cannot be fixed by the city’s efforts alone. Moreover, there is an awareness that Rochester’s future livability is dependent on the success of our schools and the revitalization of the urban core. Every city has a popular narrative (a story that seems to capture the city’s history, values and hopes) and the Rochester narrative is changing, ever so slowly, but surely. For decades, we’ve seen our city as a progressive community, well educated, sustained by homegrown clean industry, with great cultural institutions (supported by local business and generous patrons), affordable suburban homes, great universities and hospitals and well-funded charities that can assist those in need. To get a feel for the power of that narrative (and its longevity), take a look at the video below: A 1963 Rochester Gas & Electric promotional film, “Rochester, NY: A City of Quality.” You don’t need to watch all the way through to get the gist of it. But its endurance speaks to the power of this “all is well” community narrative — the film was released just one year before the 1964 Rochester race riots. I’m not suggesting that the narrative is completely false, only that we have been slow as a community to recognize the consequences of the steady loss of good manufacturing jobs, the subsequent weakening of our safety net, and worsening poverty that has spread across the city line. But the reality is hard to escape and people are taking notice. The 2013 Rochester Area Community Foundation Poverty report was an eye-opener. The formation of a new (hopefully) state-funded anti-poverty initiative has forced people take a hard look at where we are and how we can move forward. At our May 5 conference, the Urban-Suburban work group presented a chart showing the percentage of children in each district who are defined as “poor” by virtue of their eligibility for free or reduced price federal meals. While just 3 percent of children in Pittsford are poor, in Brockport, it’s 41 percent; in East Irondequoit, 55 percent; in East Rochester, 56 percent. Our goal of capping the poverty population at 40 percent in every school is impossible without a full community commitment. To underscore the seriousness of the decline, a May 4 New York Times interactive feature (“An Atlas of Upward Mobility”) reports that children growing up in Monroe County can expect to earn between $2,050 and $2,350 less every year than the national average. This is a shocking turnabout for a community that has long been regarded as among the most prosperous. So, yes these numbers are disheartening, but the growing openness to change can be the portal to real progress. 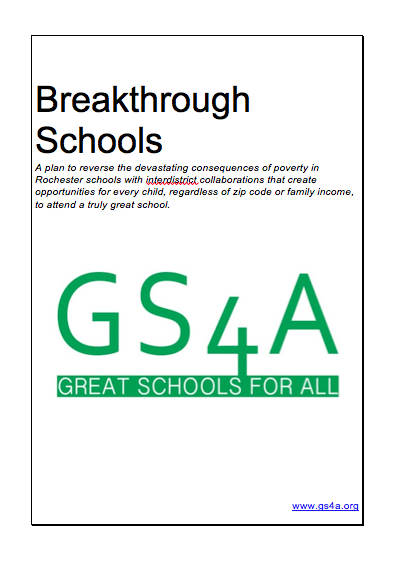 GS4A’s focus is on ending the high concentration of poor students in city schools–developing a series of strategies to voluntarily integrate city and suburban schools to achieve a workable mix of poor and middle class students. It is not the only thing we need to do as a community to reverse the decline of the last 30 years, but a city-suburbs effort to fix our schools can serve us well. It can help Rochester acquire the muscle memory we will need to work together as one community, not as disparate municipalities, to solve the problems of affordable housing, jobs and crime. Surely, we should hope for — and settle for — nothing less. What has most impressed me about the Great Schools for All (GS4A) conversation is how open the community is to having it. Ever since the Raleigh team returned a year ago (read more about that experience here), we have been invited again and again to tell the story of how that community turned around its once struggling school system. 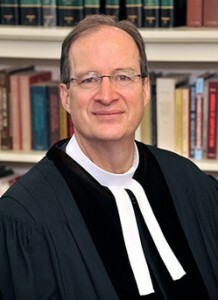 That does not mean there is not skepticism, or hard questions, or more work to be done. It does mean that our community is hungry, hungry for a different conversation, hungry for an alternative narrative. Our response will not be Raleigh’s response, but people have been taken by the Raleigh experience for two reasons. One, there are elements from their success in economic deconcentration that we might borrow or adapt. And two, the Raleigh model, while not an apples to apples comparison to Rochester, worked. We need success stories to give us a glimpse of what a different educational and economic reality here would look like. We’ve spoken to business groups, to religious groups, to educational groups of all kinds. We’ve spoken one-on-one and in large auditoriums. And people have listened. They are hungry. We are hungry. In my day job, I use the words “urgency” and “hope” quite a bit. Those words apply to the GS4A conversation, and to the broader work around education, and poverty, and race in our community. Here’s why. Urgency indicates the need to take action, to organize a response. But it does not indicate that the action is reactive, or the response made from a panicked place. Change is needed, but that change cannot be driven by fear, or despair, or anxiety. Our schools need a new profile, and soon, for the sake of our children and the sake of our community. But timely change can’t be knee-jerk change. We look around and assess, gather information, foster conversations. And we act – urgently. Hope indicates that change is possible (to paraphrase Susan B. Anthony’s well-known affirmation that “failure is impossible”). Hope differs from optimism and it differs from wishful thinking. Our educational reality will not change simply because we wish it to be so. We do the hard work, the urgent work. But hope indicates that such change is possible. It is what we are counting on. People have been open to the GS4A conversation because they carry with them, at heart, senses both of urgency and hope. We understand the realities as much as we ever have, fueled in part by our work and aided to a great degree by research and analysis from the RACF. We know the challenges, and they are significant. Yet we know that if we do not address these challenges now, another generation of our children, our most precious resource, will be consigned to a future whose contours we know all too well. I am mindful that many groups are thinking about these things, and that many efforts have been made, even in recent memory. We have been privileged to share our experience with many of these groups and their leaders. Our hope is to collaborate, not to duplicate and not to interfere. We do believe that our focus on deconcentrating poverty as a means to educational achievement is a unique contribution to our communal eco-system. Will the GS4A effort, in collaboration with others, finally move the needle? I am convinced that if change does not happen soon, that our community’s narrative will continue in its familiar way. Our children will suffer and our community will decline. That simply can’t be the case. That is what fuels our urgency. The possibility of change fuels our hope.